For the eCommerce novice, let’s consider the idea of web hosting in general. Imagine you have real goods and need a storehouse to keep them. Web hosting provider gives you location for the data you need to store. Thus, they allow your store to be visible on the Internet web page. There are plenty of server types you can make use of. However, speaking about Magento servers, not all of them are suitable. Supposing you need a big storehouse - you can either rent it on your own or share with some other guys. That’s the difference between dedicated and shared hosting. Dedicated server is entirely at your disposal. The great benefit is flexibility of operation and high speed of performance (which is crucial for Magento). The drawback is that it’s too expensive for some merchants, especially startups. Concerning shared hosting (or virtual hosting) you will split the space on server between other clients. This option is more economical but less convenient for Magento store owner as it will slow down store performance. Choosing hosting provider for your Magento store you should consider three main aspects - reliability, security and performance. There are official Magento enterprise hosting companies you can rely on as you will be sure they have already worked with Magento. Magento system requirements are not enabled by default so you need to have them set for your particular store. The speed of performance is crucial for each website. However, for Magento store it is particularly important. The platform can handle and proceed multiple products, images and orders. The powerful functionality should not be slowed down by hosting environment. From two Magento stores with the same type of inventory, the one with better speed performance will naturally win. You can evaluate page load time on Demo Magento websites, suggested by hosting companies. Comparing several demo websites will help you find the server with appropriate speed rates. Note, that it will also improve your SEO, as Google penalizes slow websites and increases the site rank for speeding up. This is how hosting can make your site convenient for customers and competitive on the market. SSL (Secure Sockets Layer) which provides protection for credit card information. It will guarantee that your customer’s personal and sensitive information will be safe and sound. You will gain customers’ trust and will sleep like a baby without worrying about data security. SFTP (Secure File Transfer Protocol) will give the ability to make FTP connection less vulnerable and provide customers with secure way of file uploading. Backup option provided by hosting company is also beneficial. In case of certain problem with website, or before Magento store migration, all data should be backed up. You can do it on your own of course, but it’s more convenient when your hosting provider offers such opportunity. Check which backup methods they use and where they save backups. Another aspect to consider is appropriate Support. Sooner or later you will definitely need to contact hosting provider for access details or with any questions concerning server functionality. So, find out if they provide support services 24/7, how long does it take them to respond and what is the quality of the service in general. Different communication channels should be also provided for your convenience (support by phone, via email, support tickets or live chat). 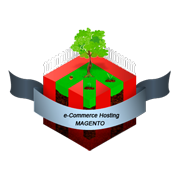 Consider the options and choose the appropriate Magento host to establish the website. Cart2Cart in its turn can take care of smooth data migration to your new Magento store. In this case everything is much easier because we can provide you with all three pillars - reliability, high speed of performance and free technical support. Everything is done for your convenience. One thought on "Three Pillars of Magento Hosting"